Health, being the single most important factor to good living, is at the top priority of every nation. Throughout the world, different government and private organizations are involved in the healthcare industry. With one medicine, from its planning to research, from development to approval and delivery to patients, a number of institutions are involved. All of them require capital to operate. Most organizations are well established, but it is the emerging and innovative health companies that are cash-strapped and require the most funds to continue operating and doing their research. AENCO is a decentralized platform that caters for these new and upcoming healthcare technology companies that show potential in their products. As a blockchain based global financing platform with a team that has decades of traditional financing experience, AENCO leverages healthcare technology companies with institutional financing, brokerage and smart capital solutions. AENCO envisions providing the best of financing to emerging Healthtech companies by using the power of blockchain and decentralized applications based on it to deliver funds. This way, the platform taps into a level of funds that are easier to raise, have little cost and lead to the generation of an increasing and rapidly growing ecosystem. Global Community: This consists of users and participants of the platform. People, from end users of the platform, to investors would opt into the ecosystem through acquiring their propriety AEN token. 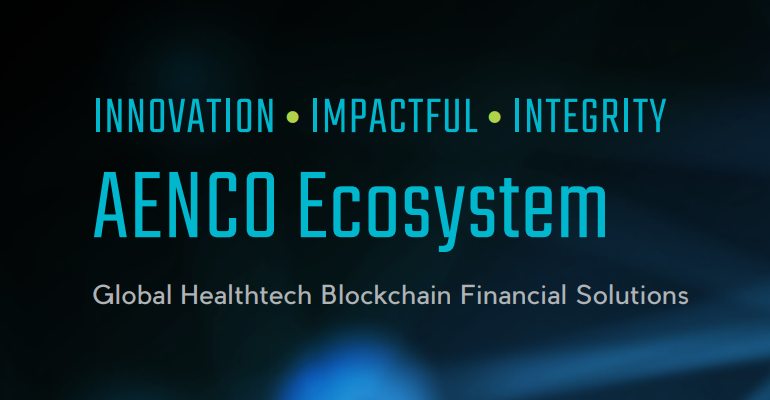 AENCO Global Healthtech Financial Solutions: Consisting of three distinct applications, ranging from blockchain bank, brokerage and smart capital, this would use funds raised from the AEN tokens to generate capital for healthcare technology companies willing to work with AENCO. Healthtech Partners And Future Projects: Health technology companies would bank on the capital raising abilities of AENCO to fund their projects. These range from therapeutic to physical infrastructure to data analysis. Overall, the ecosystem would create opportunities for all, from investors to earn profits from technology development and sale, to emerging organizations to get cheaper and faster access to funds for their research and development. AENCO is the brainchild of Ian Huen and Darren Lui. Both are multi-talented with a wealth of experiences in their respective fields. Ian Huen has over 15 years of experience in managing assets at a global level. He has worked with the top institutional capital firms from around the world. In his career, he has been on board of a medical development foundation and as such, has gained valuable insight on raising funds for medical organizations. His education includes MA in comparative and public history, AB economics and CFA charter holder. 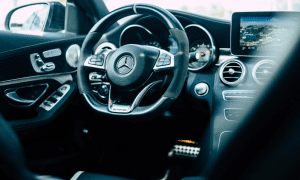 Darren Lui, the other co-founder, is a man who has experiences in developing emerging companies, from financial investors to biotech and has worked with few of the top banks in the world, such as Barclays. Like his co-founder Ian, he is also a CFA and holds a chartered accounting degree, along with honors BSc in biotechnology. Seeing the rise of blockchain and its impact on the financial and other industries, the two founders decided to develop a platform based on decentralization that would help in raising funds for emerging healthcare technology companies. AENCO, based on Ethereum blockchain, uses its proprietary, native token as a medium of exchange, called the AEN. The token will be used by the community participants to transact on the platform and invest in new projects. Out of the total 2 billion AEN tokens ever to be minted, 600 million are available on sale. The pre-sale is live at the moment, with a price of USD 0.10 and carries different levels of bonuses, depending upon the level of investment made. With the presale running at the moment, this is a good time to invest in the AEN coin. With the presale ending soon, not only will the amount of bonus be reduced, but the selling price will also go up. The AEN token has a lot of promise to create its demand and increase in value over time. As more and more people will join the platform, investors and healthcare companies, the result will be more liquidity and capital for the Healthtech companies. This will result in more research in healthcare, creating more demand of the token, since it will be the only mode of investing on the platform. The resultant difference in supply and demand will result in an increase in the value of the token. Investment in a volatile asset like cryptocurrencies is highly speculative. Like all investments, the future is indeterminate. Invest after a thorough self-study and only the amount you are willing to lose.